This year there have been a couple of really 'cool' unveilings. 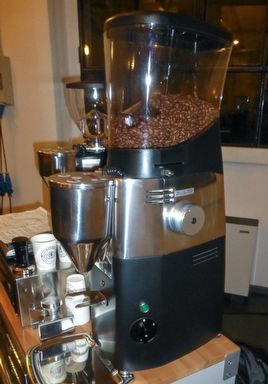 Mazzer has brought out their Mazzer Kold grinder. They have moved the motor to the back of the grinder and linked it to the grinding chamber to the motor by using a belt drive. This way the heat from the motor stays away from the grinding chambers and the burrs. 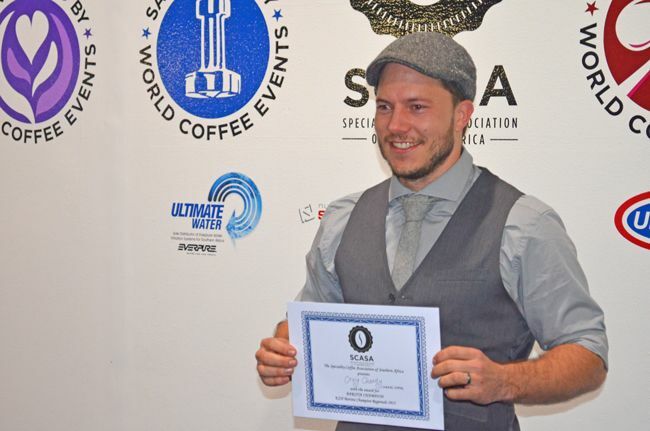 Temperature has a bigger part to play in coffee making than most of us realise. Most of the reason we are continually changing our grind is that when the grinder is being used a lot the chamber gets hotter the flow of our espressos changes, we then compensate this by making it either finer or coarser. If the grinder stayed cooler there would be less reason to change the grind setting and therefore our espressos would be more consistent. 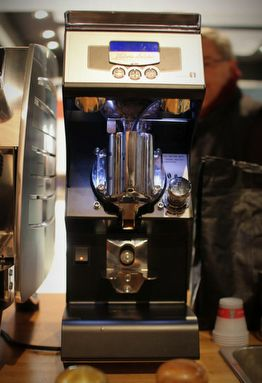 Nuova Simonelli have also been on the grinder band wagon, but have been tackling temperature from a different angle. With the help of James Hoffmann, Colin Harmon, Fritz Storm, and Gwilym Davies they developed the Clima-pro system. By heating the grinder collar and adding fans into the back of the grinder the Mythos1 is able to keep your grinds between 35 and45 degrees C. At this temperature they said that the espressos were at their most consistent and their tastiest. The Mythos 1. An all star barista cast consulted on the making of this guy. Machines wise, San Remo released the 'Opera'. 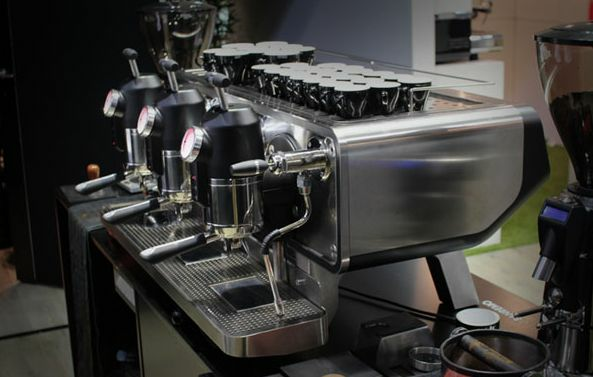 John Gordon(multiple time UK barista championship winner) helped San Remo with this prototype. It is fitted with load cells 'in the drip tray to measures the weight of your shots and display it on the group, 5 boilers( pre-boiler, steam boiler and one for each group) and geared pumps to control pressure. The thing I am most excited about is a new single espresso basket, UNIC'S new basket with the tag line 'being single is cool again'. A big problem in SA is that a lot of cafe's aren't busy enough to pull doubles all day long and use them immediately. Most cafe's use the standard single basket with tapered sides which underextracts the coffee. 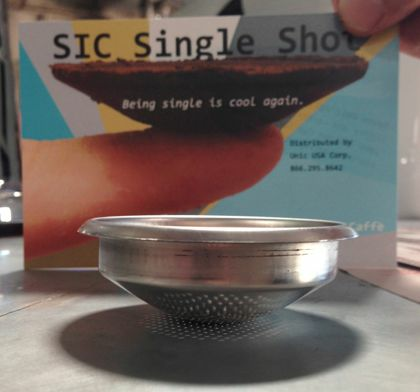 With the help of this convex single basket we might be able to pull decent single shots, I will be trying it in my cafe and reporting back. The most exciting thing is to see how baristas are are molding the industry by being part of design teams in company and the like. At the end of the day, these are our machines that we make magic with and they need to suit our needs.